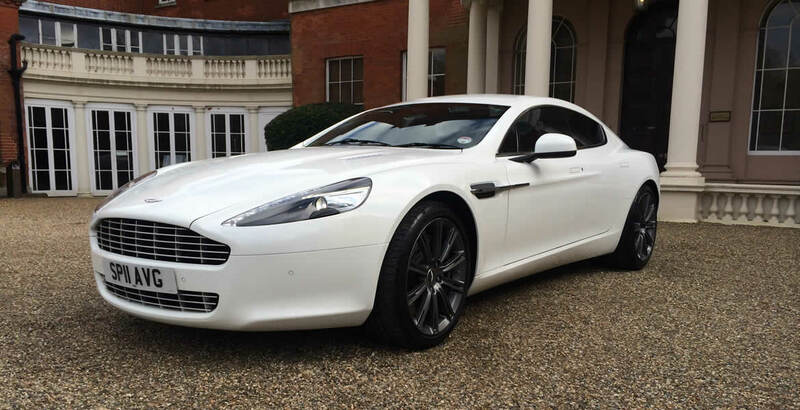 Limos in Essex Aston Martin Hire: our chauffeur-driven Aston Martin Rapide V12 British 4-door super-car is simply stunning. 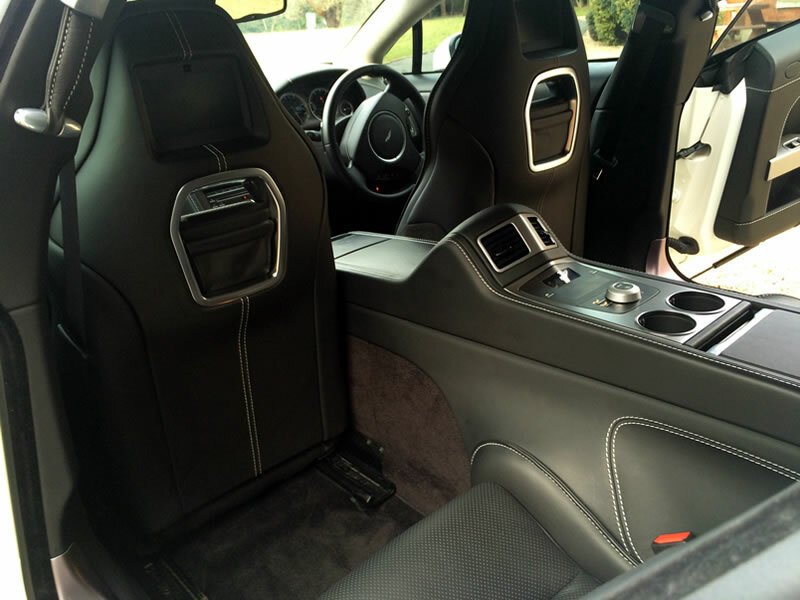 Hand-made in Britain, by Aston Martin craftsmen, the Aston Martin Rapide sportscr is the latest addition to Limos in Essex luxury chauffeur-driven car hire fleet in the Home Counties, Essex, Herts and London. 007 is not the only person destined to derive great pleasure and experience the superb performance of this quintissential English sportstar Marque. 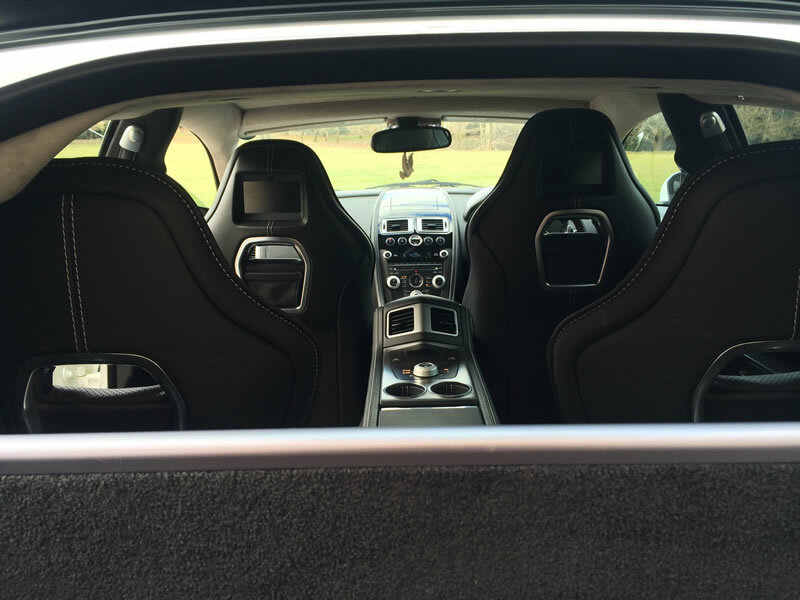 A chauffeur-driven Aston Martin supercar hire doesn’t get better than this! We’ll whisk you through the streets of London to any venue or event on time and in style. 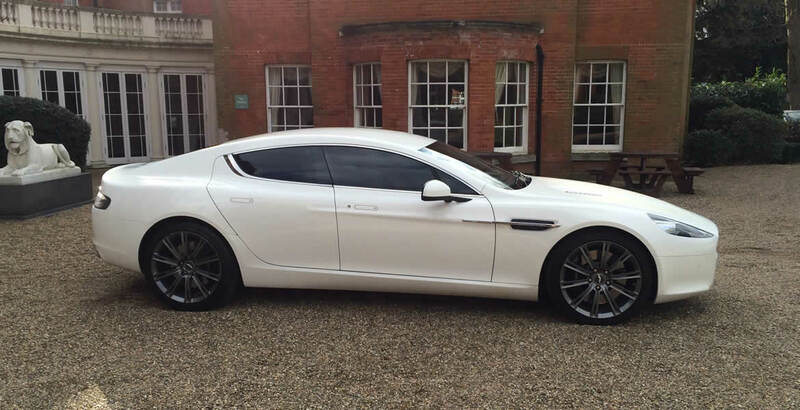 If you are looking for a stunning wedding car – then look no further than our Aston Martin wedding car. 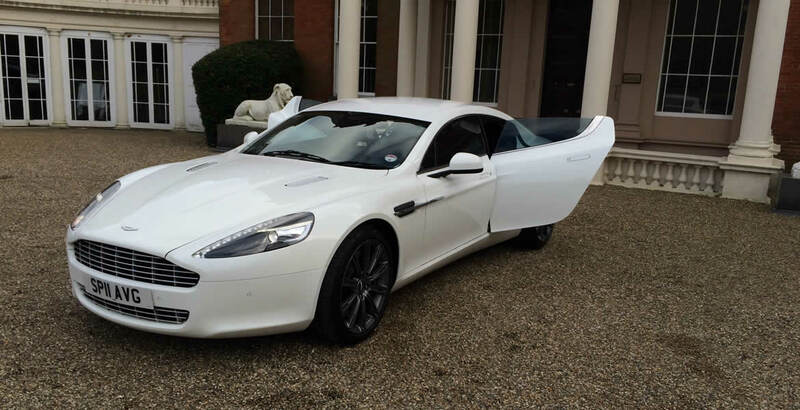 View our superb Aston Martin Rapide 4-door super-car below. The V12 engine in this ‘thoroughbred’ super-car, hand-made by Aston Martin in England, not only sounds terrific, but also looks amazing. You’ll only get one chance to fully enjoy your wedding day. Let us help you make special memories of the day with our Astom Martin wedding car hire! A once in a lifetime experience, this wedding car is something you’ll never forget. 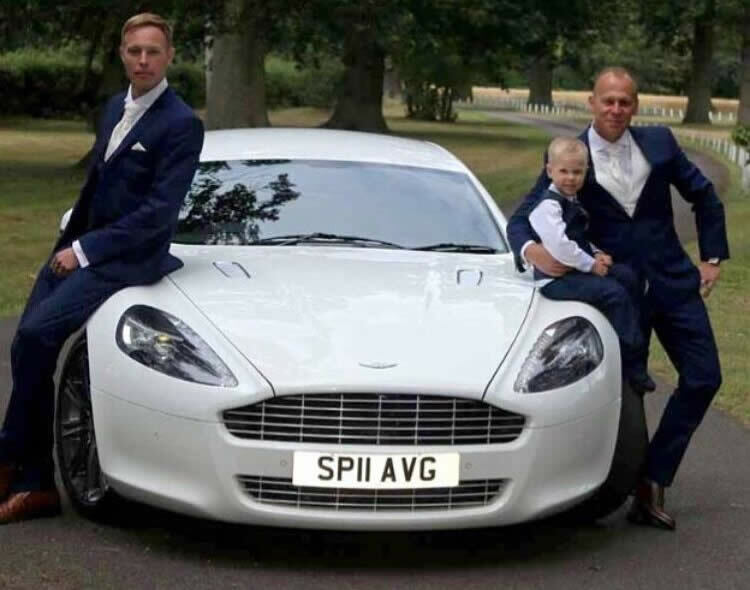 When you book our Aston Martin wedding car hire service, we allow time for photographs before taking you on a relaxed drive to your nuptials. A further short stop at a scenic spot can be arranged for more photoss of the Bride or Groom with the Aston Martin as a backdrop to the photographs. 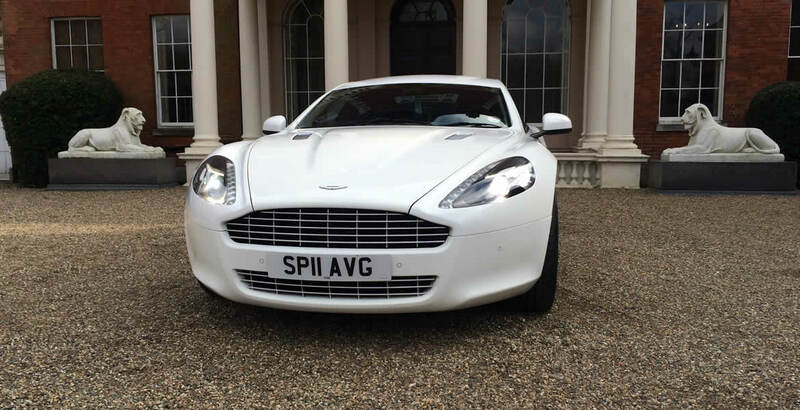 Pictured below is a recent Limos in Essex client hire featuring our 4-door Aston Martin Rapide Wedding Car Hire in the Home Counties. Not just a bridal car. this vehicle is perfect as the groom’s crar for his arrival at the wedding (it’s his day too) accompanaied by his best man. 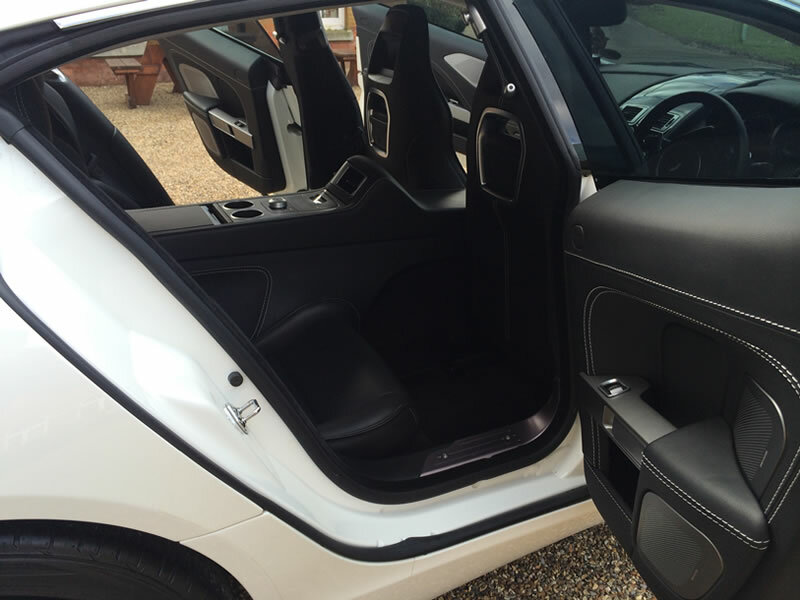 This deceptively spacious and sports car can accommodate both Bride and Groom after the wedding ceremony due to its having 4 doors; unusual in a sports car! 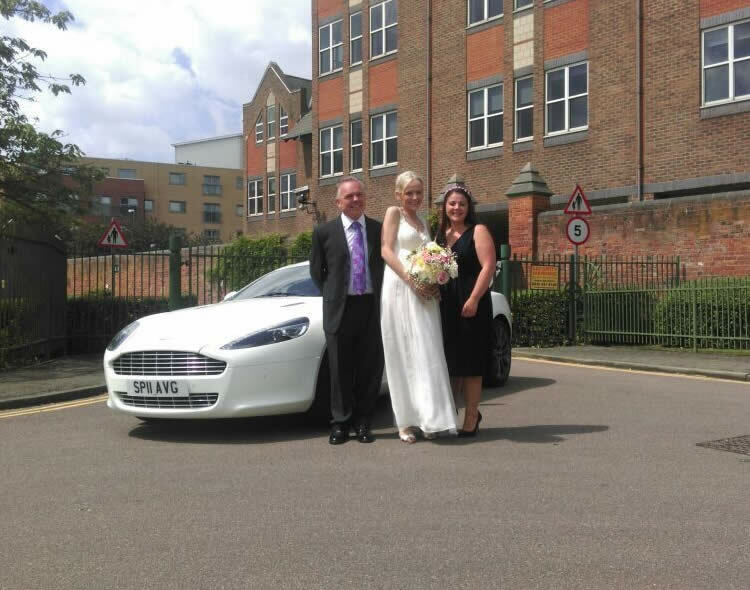 Photo opportunities abound when you hire our superb Aston Martin Rapide as a wedding car. Both enroute to the wedding and upon arrival at the ceremony, more time is allowed for photographs and viewing of the Aston Martin by a quickly gathering crowd of bystanders, before guests are ushered into the ceremony. The only decision you need to make is who will arrive at the wedding in the Aston Masrtin. Bride or groom? 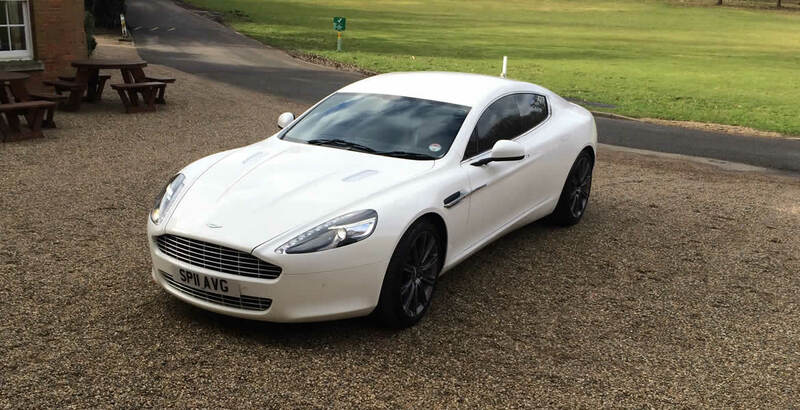 Either way, our Aston Martin Rapid hire wedding car will be immaculately presented with your choice of a white wedding bow on the bonnet on request. but especially as a dream wedding car in Esse, London and Hertfordshire. 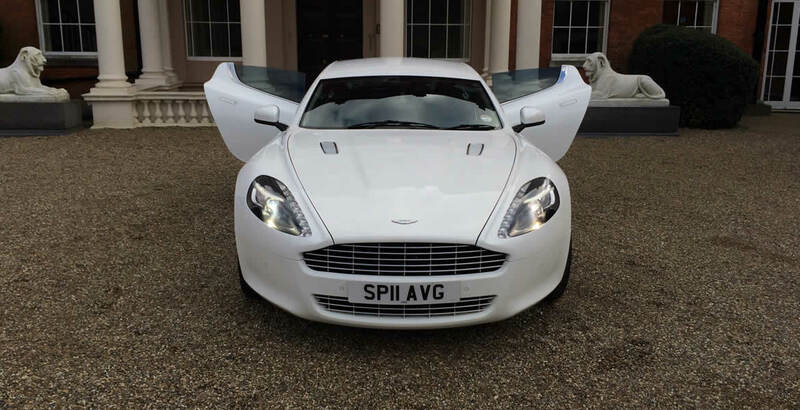 Aston Martin Super-car Hire for Grooms! When you hire our Aston Martin you’re hiring a tiny piece of Eenglish history! This hand-built super-car will deliver the Groom to his wedding in luxurious style. We can take the Best Man too.